The store has been renovated and expanded into a not unimpressive 15, 000 square foot space. That's twenty times the size of my apartment...sigh. Perhaps I should just move into Louis Vuitton? By the look of the content of my wardrobe and the way it has overspilled into my apartment I'm already almost living in an LV pop up store, so setting up camp with my trunk seems like the next logical step. I do love this piece for how striking it looks but I'm not making the connection between the artist's concept and the art itself. Methinks perhaps Lam just wanted to make something beautiful but had to write a hoity-toity statement to justify its creation. Not that it needs one. Is it not enough that it exists to be visually pleasing, that its raison d'être is to bring some gorgeousness into a space? 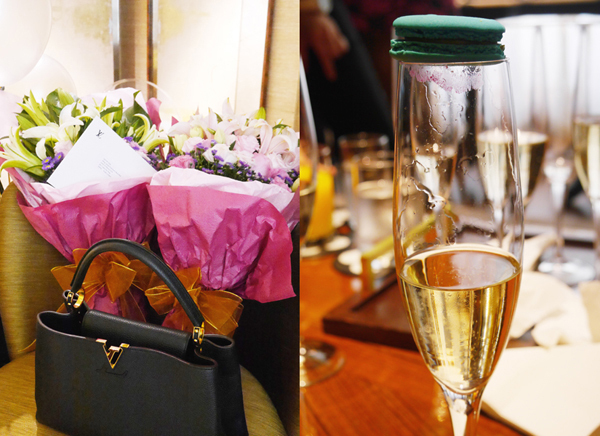 Mummy's birthday tea was held in LV's private room away from prying eyes and easily scandalised but nosy ears (what is said in Louis Vuitton stays in Louis Vuitton) where we could sip tea and enjoy a spread of dim sum, champagne, and pastries at our leisure. I love these kaya macarons so much that despite my smug assertions that I wouldn't be eating anything that day (have to somehow slip into a sample size for a shoot the next day) I ended up having four. Four. In Mandarin the word 'four' sounds like 'death' and is considered unlucky. The Chinese got it right. It was a cozy, intimate affair just for a few of mummy's friends and of course yours truly who was there as comic relief. So many of us had matching LV bags that we got mixed up more than once. I'd rummage through my purse and wonder why everything looked so unfamiliar before realising I was pawing through someone else's. "Pass me my bag, please!" someone would say. "Which one?" I'd ask. "The black Capucines!" "Again, WHICH one?" "I don't know which one's mine! Just bring all three!" 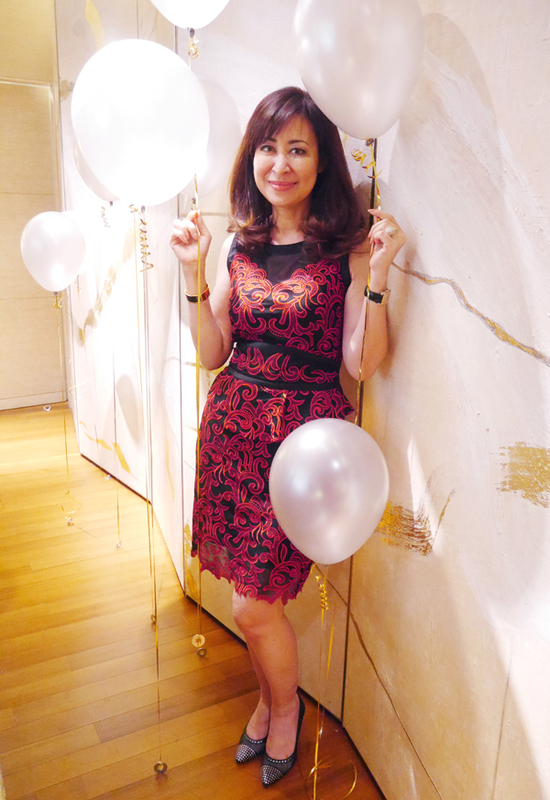 The birthday girl being forced to pose by myself. How peculiar that although we both attract attention, I gravitate toward it and seek to have a world (not the world, that would be arrogant) revolve around me whereas mother dearest tries to remain as low profile as she can, shunning exposure at every turn. How are we related again? One of the few things we have in common is our love for beautiful things and craftsmanship. Cathy showed us new variations of the W PM that are set aside especially for us before they are put out on the store and made available to the public. Mummy has her eye on the black with red monograms but I put my foot down and said no. 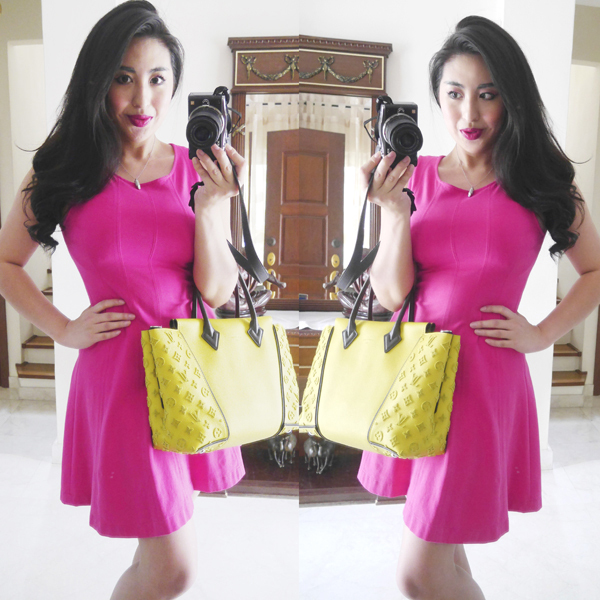 Two new handbags in (less than) a week is enough. I am quite partial to the red and blue, but I still think the pistache is the prettiest. Thank you for being so inspiring, supportive, loving, and for ageing so gracefully without any help. You've given me hope for my future. Here's to many more decades of your radiant, warm, and sassy presence gracing my life! 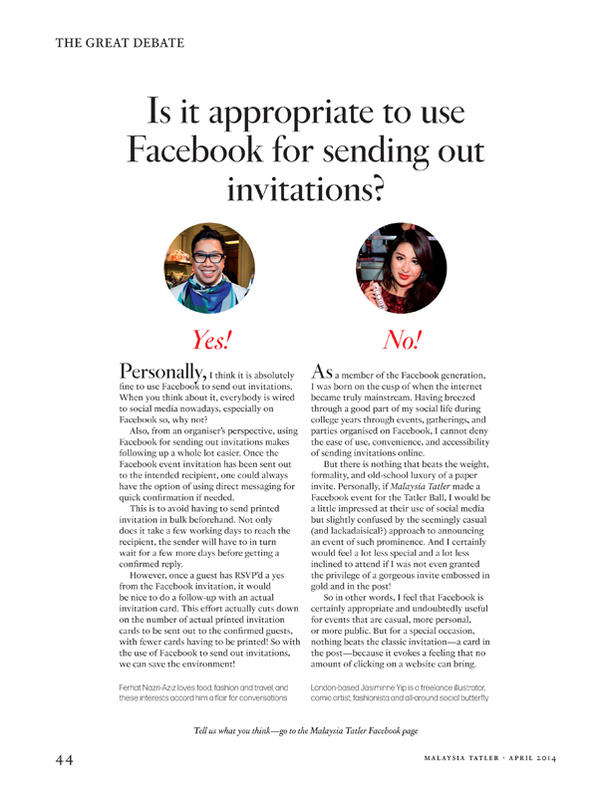 I weighed in on The Great Debate about Facebook invites for Malaysia Tatler. Read it here on the Malaysia Tatler website or grab a copy of the April issue. 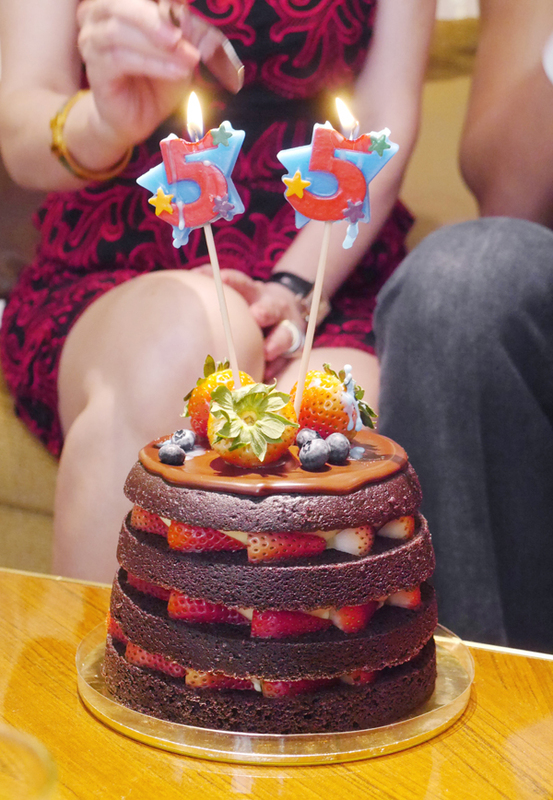 there must be a mistake on that cake. maybe they meant to say 35!! That was a thoroughly enjoyable article. And no, you are not destined for nunnery! Happy Birthday sassy sister! "Aunty" wouldn't cut it. This seems like a fun thing to do, thanks for sharing. Your maman is very pretty. So fresh and ravishing! Your dimples are too cute! Pretty daughter and mother. Rx. i don't understand... is this your real life???!! so the title of your blog isn't quite true?? it looks amazing, i just can't believe its real! 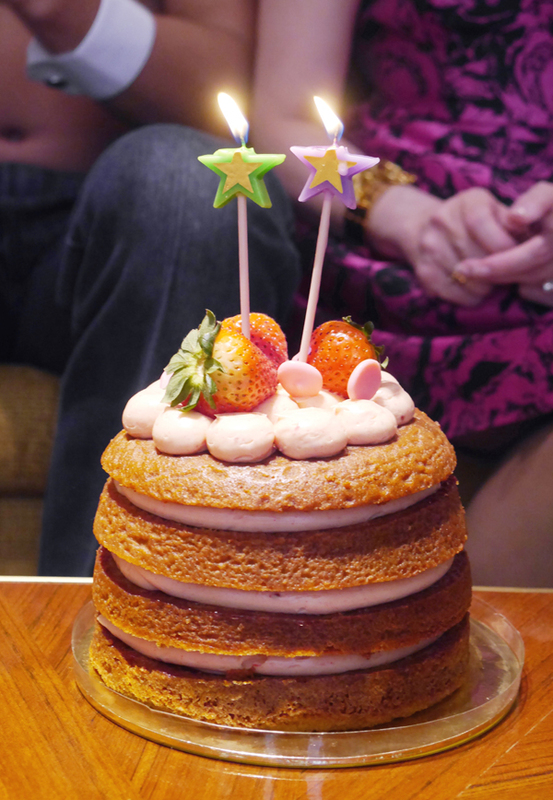 "The birthday cakes were pretty enough and tasted nice (or so I was told, four macarons was my limit that day) but the only flavour any of the aunties were into was beefcake."